Everything you need to know about your acrylic solid surface installation. Acrylic solid surface is still relatively new concept for some, and we know it can seem a little daunting. We’ve put together this handy guide to explain everything you need to know about acrylic solid surface and how Deeley Fabrications MK will work with you along the way. The quotation that we sent you is based on our interpretation of the information you have given us. We could misinterpret something or make the wrong assumption so it’s important for you to check through your quote carefully. Don’t worry if something isn’t right, give us a call or drop us an email and we’ll quickly amend the quote and let you know if it makes any difference to the price or lead-time so you can make a decision on how to proceed. The same goes for any changes that you ask for when we template. If the template comes back different to what’s been quoted, we’ll get straight in touch so you can decide how to proceed. Whilst working with you we are happy to pass on our expertise, ideas and opinions on the suitability of material and colours for different applications and on the care and maintenance of your material. But ultimately, the decisions you make are your own. Unless you’ve let us know and it’s in your quotation, we assume that installations are on the ground floor with free and available parking directly outside. Let us know if this isn’t the case, as we might need to make allowances for this in our quote and scheduling. Most of the time, the quote stays the same and we just ask you to arrange and pay for parking. The same goes for location. 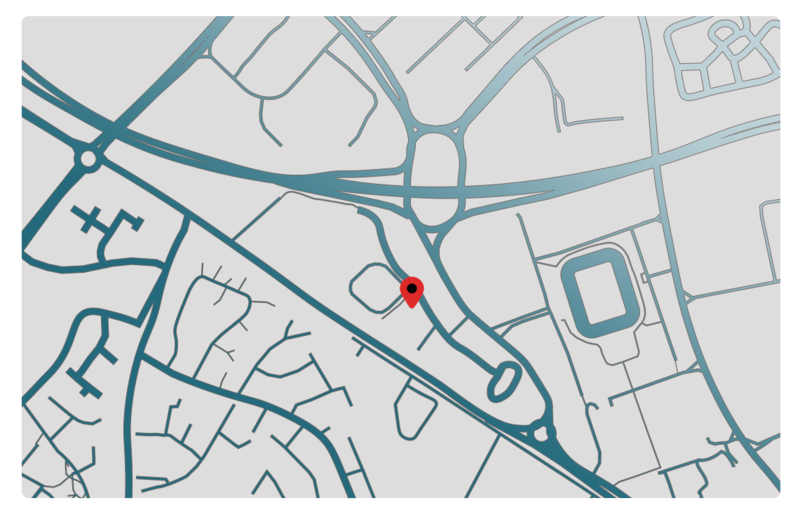 If we don’t know where the installation is, we’ll assume that you are no more than 50 miles from our factory and you are outside the M25. If this isn’t the case, just let us know so we can make allowances for this in our quote and scheduling. It’s really important that you take the time to be on site for the template. We want to make sure the work we do for you is exactly what you wanted so you must be on site to go through every detail on the template and sign it off for production. If no one is on site, we may have to make some assumptions. If these happen to be wrong, you will have to assume responsibility that might involve accepting something that you didn’t want or having to pay extra to have it the way you want it. You also need to make sure that the site is completely ready for templating. All units and panels need to be in place and these mustn’t move in-between template and installation. Your walls need to be finished as they will be for installation. All appliances need to be fitted (except for the hob of course) and sinks, taps and hobs need to be on site. We strongly recommend that you do not supply your own templates and/or technical drawings to manufacture from as this can lead to misunderstandings. However, on very simple projects this may be a way to reduce the cost. Where agreed beforehand, if you are supplying your own templates and/or technical drawings, they must be done to our instructions and specifications. We can discuss with this with you if necessary. This bit can get a bit dusty and messy as we sand material on site to get the perfect finish. We do our best to keep this to a minimum but even so, we recommended that base cabinets and open units are empty and the room is as empty as possible. We clean up as much as we can but dust will settle over the next 48 hours from installation. On rare occasions, we need to carry out work outdoors which might create some dust in your garden or on your driveway. As with the template, you need to be on site to inspect and sign off installation. Don’t be afraid to inspect the installation very carefully 2-3 times, ask questions or point out anything that you’re not happy with. It might be something that can be rectified very quickly and easily whilst our chaps are still on site. If no one is on site for installation, we will assume your acceptance of the work carried out without inspection and any balance payable upon installation will be due immediately so you’ll need to arrange for this in your absence. In the event that you are potentially not going to be ready for templating or installation, get in touch with us ASAP. Where possible, we’ll accommodate any booking changes. A charge may be applied if a template or installation is cancelled or postponed with less than 48 hours notice. Furthermore, if we attend site and the template or installation cannot be carried out due to site not being ready, inaccessibility or any other reason, the full price of the template and/or installation will be charged again. Although liquids can’t penetrate solid surface material, it is best to wipe up spills as they occur. Just use a damp microfiber cloth with standard household kitchen spray. Always clean using a circular motion. Whilst more abrasive cleaners (such as cif and barkeepers friend) can be used to remove more stubborn stains, be aware that they may cause a haziness to occur in your material. For stains, spills, mildew and lime scale that are not removed just using the above, please see the ‘use and care’ guidelines that were supplied with your installation that should show more detailed stain removal guidelines. Please get in touch with us if you don’t have this information and it can be provided. Bleach can discolour solid surface material if not removed completely by rinsing with water afterwards. Like all materials, solid surface material will develop slight abrasion marks in normal daily use. In order to reduce this, never cut or chop onto solid surface material. Also, do not drag items like kitchen appliances, crockery or shopping bags across the surfaces. If you do scratch or damage your solid surface material, no not despair! Most damage can be repaired on site to restore the original, smooth, hygienic solid surface integrity. Just get in touch with us to discuss. Unless otherwise requested and stated in your quotation and order confirmation, the standard finish of your material will be a matt finish using 180 grit sanding and 280 scotch bright. This is to ensure the best finish for ease of cleaning and maintenance. Manufacturers sometimes finish their samples to a semi- gloss or gloss finish so the finish of your material may be different to any samples you may have seen. A sample of your material with the matt finish may be available upon request. A semi-gloss (320 grit sanding) or gloss (500 grit sanding) finish can be applied to your material at additional cost if required / requested. Please note that these finishes will show dust, scratches and other wear and tear more visibly than the matt finish. Therefore, we recommend that these finishes are not used in applications where the surface is exposed to heavy use and contact e.g. kitchen worktops and dental worktops. As the material we use is acrylic, there are some limitations when it comes to heat. You should not put hot pans directly onto solid surface acrylic material tops or sinks as this may damage the surface. If pouring boiling water into a solid surface acrylic sink, always run the cold tap at the same time. Always use the correct size pan on the burner and place it centrally as an overhanging pan can scorch the surrounding surface. You also need to avoid putting anything over the joins that might create heat such as slow cookers, steamers etc… as this can cause joins to split. Also you should put these kind of appliances on a heat protective mat when in use. Whilst we follow all the fabrication guidelines provided by the manufactures and training; joins in solid surface acrylic material are not guaranteed to be invisible. With the vast majority of colours, we are normally able to achieve extremely inconspicuous joins. Some colours are not possible to, or more difficult to, join inconspicuously. A list of these colours is available upon request and you will be informed in your quotation and order confirmation if you have chosen one of these. You will see where your joins are when your installation takes place. To help prevent joins from splitting, make sure that you don’t stand or sit on these. Your quotation and order confirmation will say whether you have chosen a sensitive colour. Sensitive colours are saturated and dark colours that will show dust, scratches and other wear and tear more visibly than lighter and less saturated ones. Therefore, we recommend that these colours should not be used in applications where the surface is exposed to heavy use and contact e.g. kitchen worktops and dental worktops. A list of sensitive colours is available upon request. Your quotation and order confirmation will say whether you have chosen a colour that shows grain direction. These colours can look quite different to a small sample. An A4 sized sample may be available upon request. The veining pattern on the sheets is random and is not guaranteed to have the same colour and intensity of the veins between the sheets. Also due to the random nature of the veins, it is unlikely to have a continuous flow of the veins when 2 sheets or 2 pieces of the same sheets are seamed together. The change of pattern will show up on the seam area. For this reason, coved upstands are not recommended as you will see a join between the radius of the cove and the upstand. Additional cost may be incurred if you change to this colour upon template even if your quote is based on the same price group. This is because extra material is often required due to directional nature of the material. Both sides of directional material can be used. One side shows subtle veining and the other shows more pronounced veining. As standard, we will use the side that shows the more subtle veining. If you want more pronounced veining, let us know so that we can amend your quote as this may incur additional cost. A list of colours that show grain direction is available upon request. Your quotation and order confirmation will say whether you have chosen a colour that is translucent. These colours allows up to three times as much light to pass through the sheet. These are great for backlit applications. Due to the translucency, seams may show some degree of visibility so these colours are best to use in scenarios that don’t require joining. As such, these colours are not normally suitable for kitchen worktop use. A list of translucent colours is available upon request. Your quotation and order confirmation will say whether you have chosen a metallic colour. The metallic pigments in the solid colours reflect light in a directional manner. This product is directional, both on the top surface and on the edges. It is best used when the directionality is highlighted. It is not advised to use these colours in worktops as the directional properties of the metallic flakes make it extremely difficult to fabricate downturns and coved up stands successfully. Only certain brands and colours are suitable for exterior use or interior use with high UV exposure. Unless otherwise requested and stated in your quotation, we assume that the material is for interior use without high UV exposure. If you require material for application outdoors or with high UV exposure, we can provide a list of colours which are suitable and we can advise as to whether you might consider any design changes to accommodate usage in the environment in question. Different brands and colours have different guarantees regarding colour fade and gloss loss. We can provide this information upon request. As standard, all upstands, splashbacks, wall cladding and window sills will be made out of 12mm thick material. If you choose to have coved upstands, the standard size of the coving is 10mm. Coving is only done in-between the worktop and the upstand. The corners (inbetween each piece of upstand) will be joined square, not coved. As standard, the top edge of the coving is finished with a square edge profile. Lastly, as standard, upstands are only installed against a wall. You need to let us know if you want it returned against tall units. As standard, window sills do not have an overhang or horns. If a splashback is requested, we assume that a gas hob isn’t being used. If a gas hob is being used, the run of units where the hob is normally needs to be breakfronted or the whole run needs to be brought off the wall as a minimum gap of 100mm needs to be present between the hob and splashback. After the installation, you may notice a small, and sometimes uneven, gap between your upstands and the wall. This is normally filled in using some caulking by your decorator. When no edge profile is stated, we will assume that you want a standard profile in your quotation. Standard edge profiles that do not incur any additional cost are: single pencil, single bevel and single or double square. It’s no problem if you would like a different edge profile, you just need to let us know so that we can allow for this in our quotation and scheduling. Non standard edge profiles may not be able to be applied to edges of downstands if you are having them so you will need to check. You may want to consider having a watersafe edge profile in front of your sink and drainer to help contain water and drips in this area. We don’t add this on as standard when quoting so you’ll need to let us know if you would like this and where you would want it. Unless otherwise requested, we’ll assume that you want 38mm fascias for kitchen worktops and 24mm for bathroom vanity tops. 24mm, 30mm and 38mm are standard size fascias that do not incur any additional cost. Other size fascias are available at extra cost. The return underneath your tops will be the thickness of the material which is normally 12mm. Unless otherwise specified, we will assume that you want an overhang of 40mm from the carcass edge. With a standard kitchen door thickness of 18-20mm this gives a standard overhang of 20-22mm from the door. If you are having different thickness doors, handleless doors or a nonstandard edge profile, you may want to consider different overhangs. You must confirm the overhang that you want upon templating. If your units are not straight, the overhang you have may vary. The thickness of the material we use is normally 12mm. For the underside (subframe) we usually use moisture resistant MDF in a ladder frame format. Where there are overhanging areas (such as breakfast bars), as standard we’ll use solid MDF here. If you want the underside of any overhangs to be solid surface acrylic, this can be done at extra cost. The maximum overhang that we can normally achieve without additional support is 300mm with 38mm fascias and 150mm with 24mm fascias. If larger overhangs are required, we can normally insert steel supports into the tops for extra support at an extra cost. A minimum fascia size of 38mm is required for steel supports. Solid surface acrylic cannot normally be used on its own as a structural material. If your project requires material to be used in this way, please get in touch to discuss it with us. If your installation requires fixing material to a wall with a bracket, it is your responsibility to ensure that the wall is structurally sound to support the installation. We can advise, and sometimes supply, the brackets that you require. Get it touch to discuss. We will assume that hob cut outs are for standard fitting hobs. If you have a flush fit hob, please let us know so we can allow for this in our quotation. In order to reduce the risk of cracks, we use heat reflecting tape around the cut out. Flush fit hob cut outs will require a 3mm gap around the edge. We recommend that you fill this with silicone in the colour of your choice in order to accommodate heat expansion. If you have a downdraft extractor, you will need an additional cut out for this so please let us know. If you choose to have hob bars recessed into your tops or in into a chopping board, please note that the grooves will be slightly bigger than the bars. This is to allow for removal for cleaning and to allow for heat expansion. The bars that are provided are made from brushed stainless steel and may have slightly different effects and finishes between each other. Where pop up socket cut outs have been requested, please ensure that these are on site upon templating and installation. The price for standard pop up sockets is based on standard 102mm diameter sockets. If you are using non- standard sockets, or pop up sockets which require material to be placed on top, please let us know as an additional cost may apply. We do not install pop up sockets, only provide the hole for them. If we are doing cut outs in upstands or splashbacks, please make sure that the sockets are in place, facias removed and that the wires are either not live or made safe. Please also ensure that the fascias are on site during templating and installation. If they are not, we will assume that the size of cut outs required are based on standard sockets. As standard, we put a heat and moisture resistant material (Promat SUPALUX) above dishwashers to help protect the solid surface material from the heat and moisture created by them. Even so, it is important that you minimise the contact that the underside of the worksurface has with steam from dishwashers. Most dishwashers come with a ‘condenstation drip strip’ this needs to be installed by your kitchen fitter to help protect the subframe from steam and heat. It is also advisable not to open your dishwasher until it has fully cooled down so that the underside of the worktop does not get subjected to steam. No water or gas plumbing is undertaken by our fitters. You will need to arrange for a plumber to plumb in your sink/s, tap/s and hob/s. Do not book your plumber until your worktops are in situ as we can’t take responsibility for additional plumbing costs incurred due to delay in installation. As these are not made from the same batch of material that your worktops will be, they are not guaranteed to be an exact colour match. These sinks are subject to the same requirement to avoid heat as normal material. As such, you must not pour recently boiled water into them. Furthermore, they are not suitable for installation with boiling water taps. If you have a boiling water tap, consider using one of our sinks with stainless steel bottoms (e.g. Mixa or Fontana). Standard sinks from the Corian range are available in 4 colours (Glacier White, Cameo White, Bone and Vanilla). Some sinks are also available in Designer White. Other branded sinks are available in other colours as standard. Please ask for more details. Sinks from the Fontana and Mixa range and other non- standard sinks are available in other colours. These are made to order and therefore come with a 3-6 week lead time. Some colours are not suitable for thermoforming and may cause whitening in the material, particularly on sinks with a very tight radius. Please ask for further details. The position of the overflow/s will be decided by us unless otherwise requested or stated at template. All kitchen sinks come with basket strainer wastes with overflow connector unless otherwise stated. The full waste kit is not included. Some sinks do not come with an overflow. If this is the case, it will be detailed on your quote and order confirmation. Sinks for bathroom vanity units will not come with a waste but different options are available upon request. Please ensure that the sink chosen will fit into the unit/s that will contain them as we can’t take responsibility if it doesn’t fit. If you are having a non-solid surface sink (e.g. stainless steel, ceramic or other) please make sure you have these on site for templating and installation. We would need to take most under mounted sinks away with us in order for us to fabricate them into the worktop. Some sinks (particularly ceramic) require supporting from underneath. It is your responsibility to ensure that adequate support is in place prior to installation of the worktops. Drainer grooves are primarily for aesthetic purposes and to indicate where things can be left to dry rather than actually facilitating effective draining. There is a range of standard drainer groove designs to choose from. You can pick your design upon order or template. There is also a range of non- standard designs of grooves that are available but may incur an extra cost. If you have requested a recessed drainer, as standard we will recess the draining area only. Many different styles of recessed drainers are available but may incur an extra cost. Drainer grooves and recessed drainers are available together. When solid surface material is being used for kitchen (or other) doors, careful attention needs to be paid to the hinge systems being used. We sell hinge systems designed for this particular use. Please ask for details. Thermoforming certain colours may result in whitening of the material. You will be advised on your quotation if this is the case. A list of colours that aren’t suitable for thermoforming due to whitening is available upon request. When repairing solid surface material, if possible, we use material from the same batch as your original installation. You are normally provided with 1 x chopping board and sometimes some spare material is kept somewhere safe. This is the material that we try to use in the first instance as it should create a more inconspicuous repair. Where there is no colour match material available, we cannot guarantee how inconspicuous the repair will turn out. Quotations for repairing solid surface material are only estimates. The more information you can provide from the offset, including detailed photos, the better. Even so, your final bill may alter depending on the actual work that is required to be carried out once we arrive on site. We will be able to tell you a range of the cost but the final cost may not be known until we complete the repair.